New York Giants quarterback Eli Manning had a typical response for Jacksonville Jaguars cornerback Jalen Ramsey. Outspoken Jaguars CB Ramsey took a stab at Giants veteran and two-time NFL Super Bowl MVP Manning in an interview with GQ published on Wednesday. Ramsey said, "Eli [Manning]… It's not really Eli. I think it's Odell. 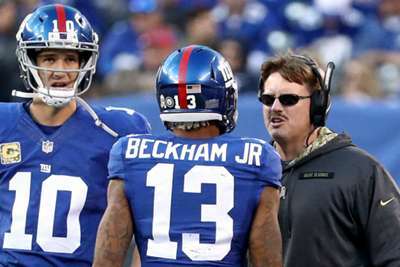 I won't say Eli's good, I'll say Odell's good" as he dismissed the 37-year-old in favour of Giants team-mate Odell Beckham Jr.
During a session with reporters midweek, Manning responded by telling the media: "Who?" Manning – a 14-year veteran – was just one of the many quarterbacks Ramsey discussed. He addressed the Jimmy Garoppolo hype, praised Kirk Cousins, called Matt Ryan overrated and bashed Josh Allen, calling him "trash". Manning and the Giants will host the Jaguars in week one of the regular season.